Mrs. Yollis' Classroom Blog: A Visit From Ryley in 2KM/2KJ Australia! A Visit From Ryley in 2KM/2KJ Australia! 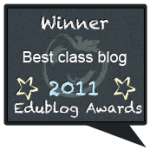 Educational blogging has many magical moments and one occurred today! Mrs. Yollis, who lives in Los Angeles, is a friend of Mrs. Morris, who lives in Australia. They have worked together on some some incredible projects, but the two have never met. Today, a student from 2KM/2KJ who is vacationing in Los Angeles, came to visit Mrs. Yollis and her students! It was a wonderful time! 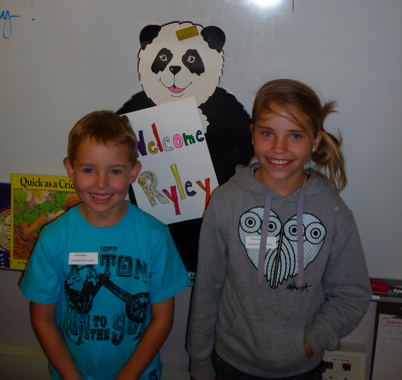 Panda welcomes Ryley and Darby. 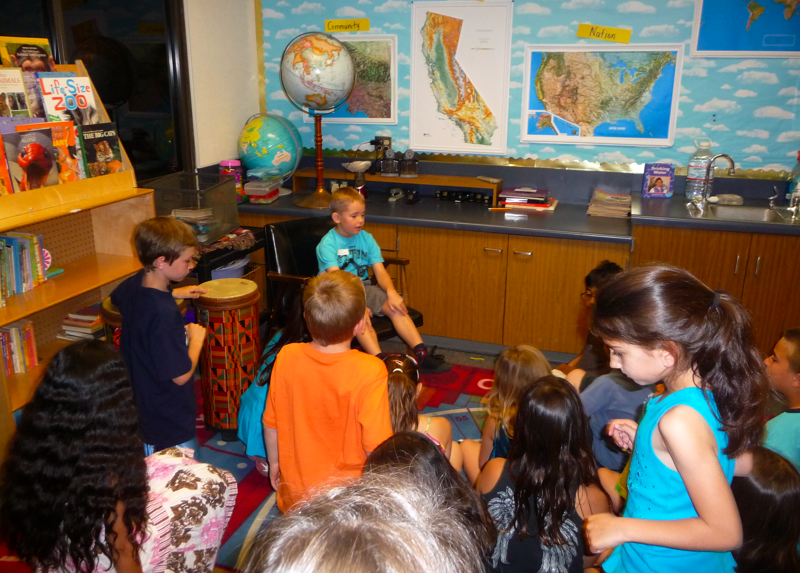 First, Ryley and his family talked about their big adventure in the United States. 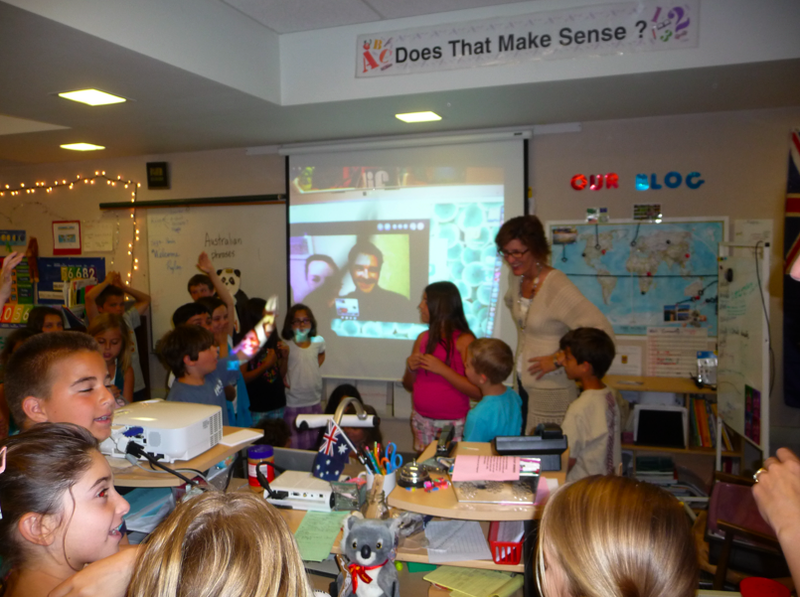 Then the class connected via Skype with Mrs. and Mr. Morris! It was 7:00 A.M. on Friday in Australia. It was 2:00 P.M. on Thursday in Los Angeles. 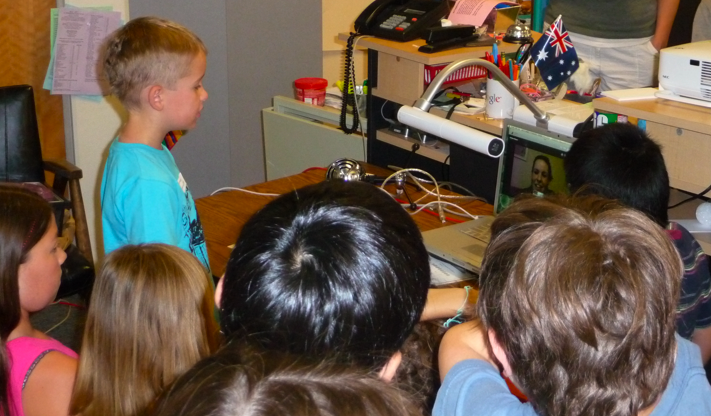 We talked about some of the differences between the United States and Australia. Mrs. Ranney and her class came over to meet their friend from 2KM/2KJ! 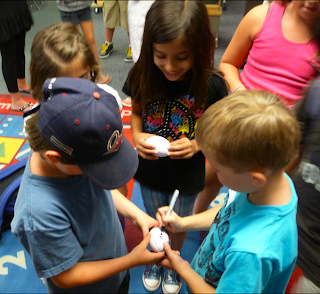 Some of the kids wanted Ryley to sign their Australian souvenirs! 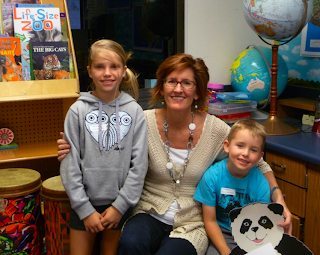 Panda and Mrs. Yollis love making new friends! Do you have any questions for Ryley and his family? Mrs. Yollis and her class wish Ryley and his family a wonderful experience in America! We will be excited to hear the details of the thrilling American journey! I think this has to be my most memorable blogging moments to date. I can hardly believe that one of my students was in your classroom! I was so happy for Ryley and his family but also a little envious! Thank you for taking such good care of our friends! I thought it was very cool that you exchanged souvenirs. What a nice idea. When I skyped with your class this morning I could tell that everyone was very excited! The questions and conversation were terrific! It is funny to think that it was 7am Friday for me and 2pm Tuesday for you! 7am may be early but I had already been up for 1.5 hrs and been for a run! 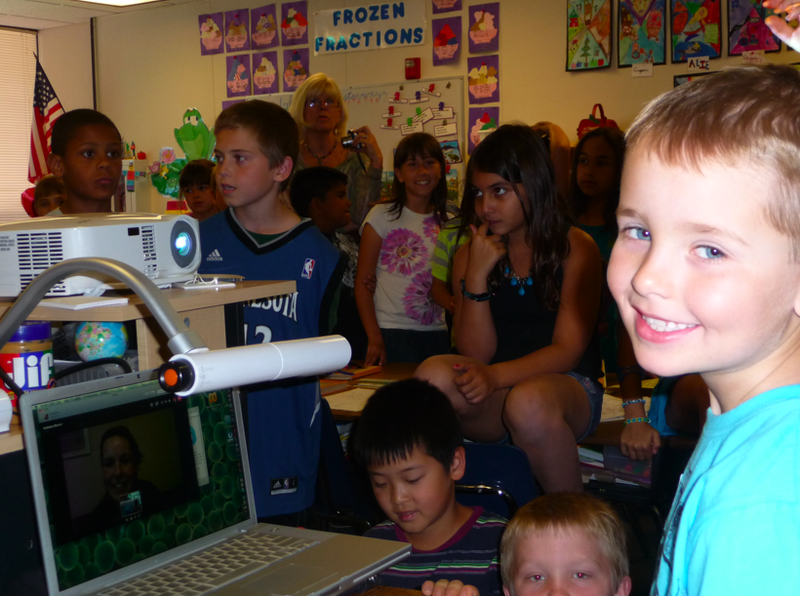 Skyping with your class and Ryley really was an amazing way to start the day! I sure hope I get to visit Mrs Yollis' class someday too! PS - Ryley, enjoy your trip! We hope you have a great time and can't wait to hear about it! Wow how wonderful for you all to meet Ryley and his family. I am pretty sure him and his family would have loved meeting you all too. It really does hit home just how wonderful blogging is and this is the icing on the cake when you finally get to meet some you have blog with in person. Thank you for this really wonderful post. What an awesome moment for your class! We were excited in B4 when the Australian Flat Stanleys came from 2KM and 2KJ, so we can imagine how excited you would be to have a student visit in person! It does make the world seem smaller. All I can say is "Wow!" What a wonderful experience for Ryley, his family and your amazing class. I feel so lucky that 2KM/2KJ have such a rewarding and special frienship with you all. Ryley is the luckiest of all, getting to meet you face to face! It looks like everyone had a fantastic time meeting Ryley, and I am so pleased Ryley enjoyed his time with you. 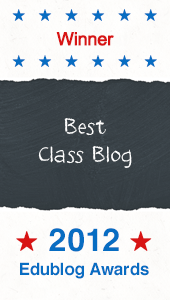 None of this would be possible without our class blogs, so let's give three cheers to the world of blogging! I was really excited when I heard this visit was going to happen! I couldn't believe how wonderful the pictures were and how much of a great experience for your students this must have been. I have a brother who lives in the USA and although he's in Washington DC, I have plans to visit the USA one day and when I do I will make sure that I visit. Great, great post! 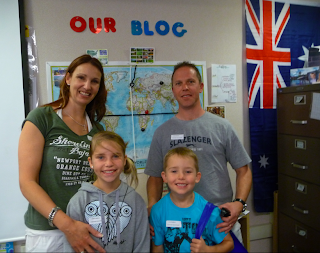 What a wonderful opportunity to have a blogging buddy from Australia visit your class! Alexa had been anxiously awaiting Riley's arrival all week, and was thrilled to show me the fabulous Australian treats Riley and his family so generously shared with her and the class. I believe Alexa's favorite was the autographed football. I loved looking at the beautiful postcard photos. I hope to visit Australia with my family one day. 1. What has been your favorite excursion (adventure) in Los Angeles? Why? 2. How long will you be in town? 3. How is Australia different from Los Angeles? I hope Riley and his family enjoy their vacation. Best wishes to all for a wonderful weekend! 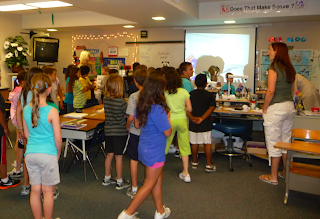 What an exciting way to wrap up the school year, with a visit from one of your blogging buddies! It is an up close example of how big and small the world is all at once! I would love to visit Australia one day! I would go scuba diving at the Great Barrier Reef. What exciting adventures did you go on in Los Angeles, Riley? I'm leaving to go camping at the beach with the Girl Scouts in a few hours! What exciting adventures have any of you been on? Wow Ryley and his family visited you all in America. I think I would love to be there with you all. Next year My family and I are going to Queensland for a wedding. We are going to the Great Barrier Reef to snorkel. I hope Ryley is enjoying his trip with his family. I loved meting Ryley, and his family! I thought that it is nice to see who you are commenting too. What makes this more interesting is that this time they came from across the world. I also liked the football, the postcards, the Australian key-chain, and Australian flag tattoo that he brought us because the key-chain had animals of Australia on it. The baseball that he gave us had the word Geelong on it. Some people like I got ours sighed by Ryley or his sister! I would like it if Mrs. M☀rris and Mrs. Jordan would come to California to visit. It would be very fun! Dear Lori, in answer to your great questions, so far my fab thing has been visiting Mrs Y and class and I really enjoyed the Santa Monica pier and mall and Johnny Rockets. We are in La until Sunday, staying in Bev Hills. Today we did an open top bus tour of Hollywood which was great. I loved M Tassauds and got a great photo with your president (wax) who we will drop in to see while we are in Washington DC. So far LA is like home except that Dad is having to get used to driving on the wrong side of the road and Mum can't get over all of the nail salons! Where I live we have a pier and a ferris wheel and hotels and cafes on the waterfront as well but everything here is so much busier and bigger. Mum says to say that we don't have shops like Gap and Zara and my sister wants Kitson to be in Aus. Thanks and blog again soon. From Ryley. I love following your blog and reading about all the wonderful things you do both in your own classroom and with your blogging buddies......but this visit from Ryley has to be the most exciting. I can only imagine how Mrs Morris felt knowing Ryley was with you all. I only know you all through reading your blogs and I am excited! it is wonderful to see friendships being made. Keep it up everyone. It was great meeting Ryley. It was a fun day. The souveniers he brought were really, really cool. I hope I can go to Austraila one day. That was a very exciting experience. The blog has come along very well. It is interesting comparing all of the things your class does with the things I did when I was in Mrs. Yollis' Class. It was great to see in the pictures all of the gifts he brought all of you! What an amazing experience! 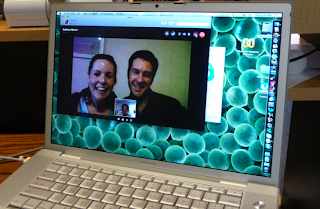 We've been able to meet some of our blogging buddies through Skype but NEVER in person! You are all so lucky. I'm sure that was quite a memorable moment for both of you. I hope Ryley enjoys the rest of his trip! We think this visit was phenomenal because we got to learn some information about Ryley. Some interesting questions that we have are: How long was the flight? They said it was about 14 hours. Are you going to go to Disneyland? They are going to Disney World in Florida. I really enjoyed it when Ryley and his family came to our classroom! I liked it when we Skyped with Mr. and Mrs. Morris. 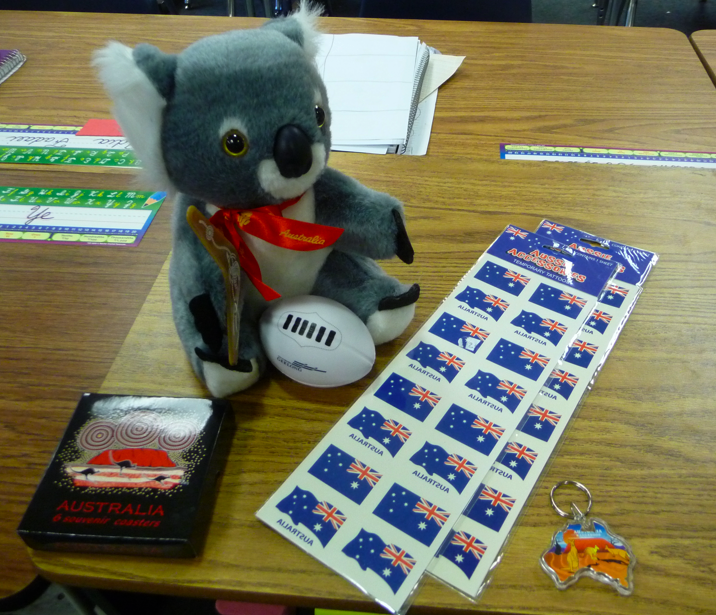 I would really like to visit Australia and I will probably want to visit Mrs. Morris's class. What an amazing experience for you all. I enjoyed reading your post and looking at all your photos and reading all the comments. 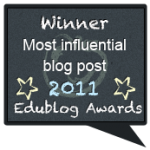 It is great that students get a better sense of the world with blogging buddies. But then to actually meet friends face to face is just awesome. We want to thank you, too, for the lovely postcard that we received yesterday. The picture on the front is very nice. Do you live near a beach? We are learning how to blog. 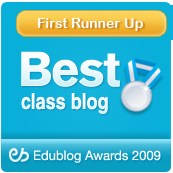 We are visiting your blog to learn more about blogging. You have a lot of information and we enjoy looking at your blog. I can't think of anything more special than meeting blogging buddies from another country in person. That would be the highlight of my year! It is my dream to travel to Australia someday and meet some of my blogging buddies. I am a bit jealous of Ryley and his family! I hope everyone enjoyed the experience. I bet everyone will remember that day for years to come! What are you going to do with your special momentoes! I have been an avid reader of your blog over the past few months and am truly amazed at the ways in which you include technology as part of your daily learning. Your recent visit with Ryley must have been so exciting and surreal! 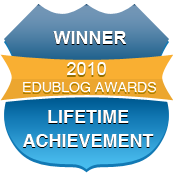 Your blog has been an inspiration to me as a grade 2 teacher in Ontario, Canada. I plan to launch my own next September. Thank you all for sharing your learning adventures! As part of this week's student blogging challenge, I have tagged you and your class to take part in the Meme post. Please visit http://coconnections.wonecks.net/2011/05/05/challenge2011-8/ Thanks so much! That is amazing that Ryley came all the way from Australia to California. When he came I am sure you were excited. I'm glad he gave you gifts. I wish I can have a visit to Australia because I think that it will look beautiful. Once my cousin went to Australia and she said to me that it was so beautiful, that made me feel like going! P.S I hope your class has a happy vacation for summer break! That must of been awesome meeting your new 2KM buddies! I remember when the blog first met 2KM! Isn't it fun having blogging buddies? I love the idea of having friends from a different part of the world! I have three friends who live around the world. I have Layla from Australia, Rekik from Italy(we met under the Eiffel Tower! ), and Jess from England! Great job blogging! More Quality Comments ~ Family Blogging Month! Welcome Students From EDM 310 Class in Alabama! April 12: National Drop Everything and Read Day! Quality Commenting During Family Blogging Month! 1:1 Laptop Time ~ Word!